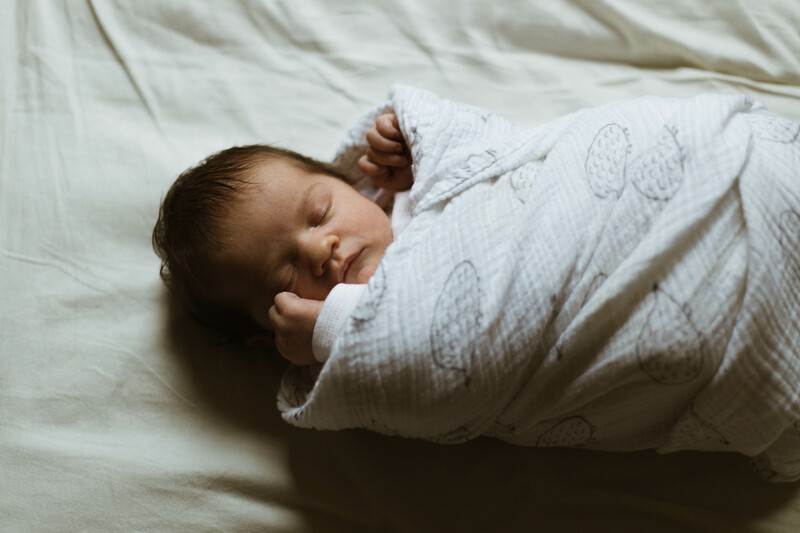 When I asked about it on Instagram, many of you were interested in hearing Madeline’s birth story, so here it is! 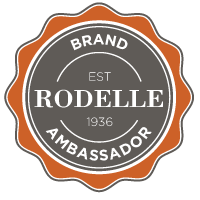 I’m happy to answer questions in the comments if there’s anything you’d like to know more about. To get ready for Madeline’s birth, I took the Mama Natural Birth Course, which I loved. 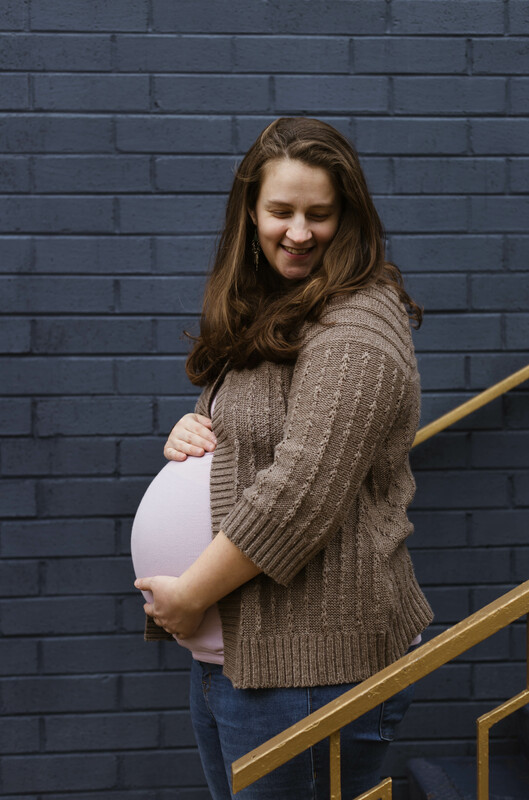 It covers nutrition and exercise during pregnancy, breathing exercises, comfort measures for natural birth, how to consider interventions and avoid if desired, labor positions, stages of labor, what happens after birth, breastfeeding, and more. Genevieve’s book, The Mama Natural Week-by-Week Guide to Pregnancy and Childbirth, was also an extremely helpful resource. I also went for lots of walks and went to prenatal yoga every week (if you’re in Chattanooga, the prenatal yoga class I took is with Brenda at Yoga Landing. It’s the only one I could find in town but it’s fabulous! I wish it were offered twice a week). I read lots of birth stories and watched lots of birth videos. At night before I fell asleep I spent time going through the pregnancy and childbirth affirmation cards that came with the Mama Natural course and imagining myself having an easy, relaxed, and natural birth. I met with two different doulas and decided to work with Ashley from The Scenic City Doulas. She came to the house for a prenatal visit to go over our birth plan, answer all our questions, and make sure the carseat was installed correctly. 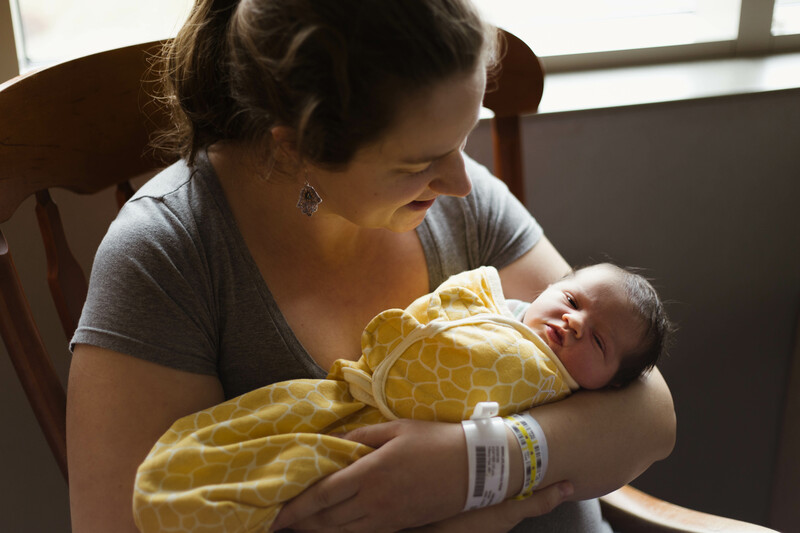 I highly recommend Ashley and was so glad we worked with a doula (Ben was, too!). I’ll share plenty more details of how she helped us throughout this post. Starting at about 37 weeks, I had little tiny cramps on and off, kind of like what I often experience on the first day of my period. 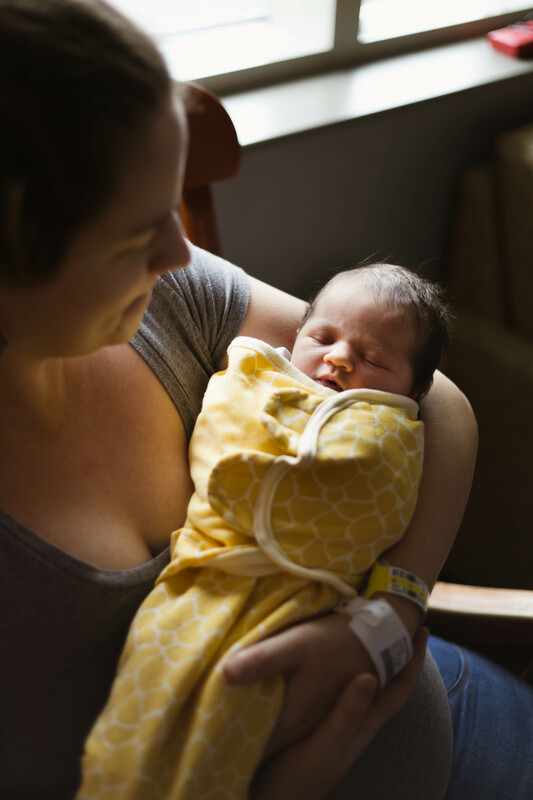 Madeline was due on December 23rd, and her due date came and went uneventfully. I got a couple of cervical checks the week after and was 80% effaced but less than 1 cm dilated. My midwife had me schedule an induction for January 6th, which would be 42 weeks, in case labor hadn’t started on its own by then. On Saturday, December 29th and Sunday the 30th I lost my mucus plug in several pieces. On Tuesday, January 1st, I had mild lower back pain throughout the day. That evening around six, my water broke. I was sitting on the couch and felt a surge of liquid. The liquid had a yellowish-green tinge to it, which meant there was meconium in the amniotic fluid. As soon as that happened the cramping in my lower back became much more intense and was coming in waves lasting about 30 seconds every 5-7 minutes. I called Ashley and then my midwife’s office. They said to head right to the hospital so they could make sure it was in fact amniotic fluid. My mom, Ben, and I arrived at the hospital around 8, and Ashley was already there. We had preregistered, so the check-in was very quick. I was taken to a triage room where a nurse swabbed some of the liquid from the pad I was using with a little test strip. The strip turned blue, indicating my water had indeed broken, so I was admitted and taken to a room. I was having moderate contractions that were mostly just in my lower back. Using this DIY tennis ball massager really helped me get through them. The nurse checked me and I was still only 1 cm dilated. The midwife on call from my practice said I could labor throughout the night on my own, but if I hadn’t dilated more by morning they would want to start Pitocin. When labor begins with water breaking, the risk of infection goes up quickly–my midwife later told me that 24 hours after water breaking, 75% of women have an infection if preventive measures have not been taken. Ashley encouraged me to try to rest and work through the early contractions on my own. She left, saying she would return in the morning or whenever I needed her if things picked up. My contractions actually tapered off throughout the night, but were still strong enough to keep me from getting much sleep. Since the pain was in my lower back, it helped to put my fists behind myself in bed and lean back to work through each contraction. The hospital wanted me on just clear liquids, but I did sneak some yogurt and an Rx bar when no one was in the room. I wished I had brought even more snacks! Labor is hard work, especially when you add in sleep deprivation. When the nurse checked me in the morning, I was only 1.5 cm dilated and the midwife wanted me to start Pitocin. I asked to walk around first to see if we could get things going. The nurse instructed me to walk around for 40 minutes and then brought in a breast pump to use to get contractions going, but neither one worked. Around 9:30 that morning, they started Pitocin at the lowest level. My contractions definitely became more intense and more regular, but I don’t remember a ton of details from the next few hours—I think because my memory of pushing and the birth itself kind of eclipsed this part! I know Ashley came back, and she and my mom and Ben helped me work through contractions by providing pressure on my hips, lower back, and legs. I repeated a little mantra to myself over and over again during contractions: “I am strong, I am relaxed, I am ready to meet my baby”. 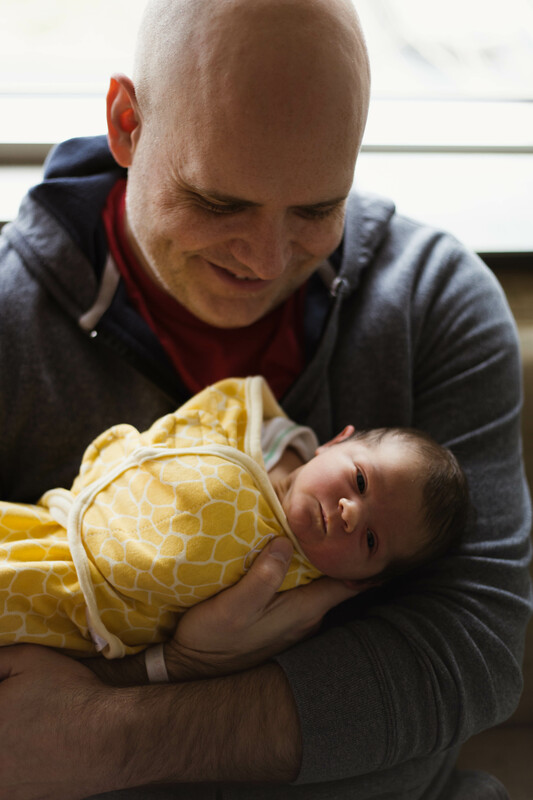 Later, when things got more intense, I changed it to “I am strong, I am brave, I am going to meet my baby.” Mantras sounded silly to me before I was actually in labor, but they totally helped. I just said the words inside my head and kept them a secret until after the birth–for some reason I didn’t want anyone to know about my mantras! I think I was worried they would stop working, like how if you tell people the wish you make when you blow out your candles, it won’t come true. I tried a few positions but felt best laboring in bed on my back. The contractions still consisted pretty much of just pain in my lower back—it must have been the dreaded “back labor”, although I don’t have anything else to compare it to. I remember saying that if I could get rid of the pain in my back, I wouldn’t be in any pain at all! Ashley worked with the nurses to make sure the Pitocin was increased very slowly and gradually, which I wanted because I was scared of how painful I’d heard Pitocin contractions can be. At one point the anesthesiologist came in and said she knew I wanted a natural birth, but she just wanted to introduce herself in case there was anything I needed. She seemed so nice and was young and pretty with red hair—almost like some kind of pain relief angel! That moment was hard for me and I was very tempted to just yell, “Sign me up! I’ll take whatever you’ve got!”, but I stuck to my plan. My midwife Meg came back to check me around 1:30. I was so glad she was the one on call because the night before it was a midwife I’d never even met. Meg reassured me that I would be having the baby today and she’d be the one to deliver her. I remember Ashley saying that if I was at 3 or 4 cm, that would mean things were progressing well, and Meg agreed. As Meg was doing the check she kind of just stopped and looked puzzled for a minute, and I was suddenly worried I hadn’t made any progress at all. Then she said she’d just wanted to be sure before telling us the good news—I was already 7 cm dilated! I had gone from 1.5 to 7 in just four hours. Everyone but me was really excited. I, however, was terrified because I knew that meant the transition phase and pushing were coming soon. I didn’t feel ready! Within the next hour contractions got much more intense. I needed Ben and my mom and Ashley all actively helping me through each contraction. Then suddenly, I started feeling this irresistible urge to push during the peak of each contraction. At that moment I felt so scared and out of control, and that feeling actually stayed with me throughout the pushing phase. I found it to be much worse than active labor or transition! The urge to push is so compelling, and I often felt like I didn’t have enough air to push for as long as my body forced me to. It was also quite painful to push, and to be honest (and I apologize for the awful analogy) it felt a lot like being way more constipated than I’d ever been in my life. I ended up pushing for over FOUR hours! I felt most comfortable on my back in bed. My midwife and doula wanted me to try a squat bar, but there were so many natural births happening that day that they were all already in use. After pushing for a while, my midwife said it seemed like the baby was getting stuck on the pubic bone. I already had both legs bent in the air with my support people providing counter pressure with each push, and now I had to also sit myself up and basically do a giant crunch while pushing to try to get her unstuck. It was very tiring! Meg and Ashley kept saying I was doing a great job and cheering me on with every push, but I felt like I wasn’t making any progress. I would feel the baby’s head move down with each push, and then slide right back up when the contraction ended. At one point everyone got excited because her head was crowning and they could see that the baby had a bunch of dark hair. I’m sure my sense of time was a bit skewed, but I felt like I still had to push for another two hours or so after that! Meg offered me a mirror to see her crowning but I refused–at this point I can’t quite remember why, but I may have been afraid to have Ben see anything too graphic. He was by my side the whole time but had specific instructions not to look right where all the action was happening. Partway through the pushing phase antibiotics were added to my IV because I’d been in labor for so long with my water broken (and meconium in the amniotic fluid). I would have loved to do without this, but both my midwife and doula recommended it and of course I didn’t want to risk baby or me getting sick. I also had an oxygen mask put on my face for a few minutes. I remember Meg saying it was to get the baby’s heart rate back up, but Ben says it was because I said I was feeling lightheaded (which I don’t remember saying). I was so exhausted from being up most of the night and eating nothing but popsicles for hours on end that I was actually falling asleep between contractions! Ashley later told me she could tell I was really asleep, and in REM sleep to boot, because my eyes were making tiny fast movements. I had a few mini dreams during these snippets of sleep, but I can’t remember them anymore. When I’d been pushing for about three and a half hours, Meg told me she was starting to get concerned. She said they don’t like to have women push for longer than three hours because it can be distressing for the baby, and my baby’s heart rate was dropping just a bit. She asked if they could increase the Pitocin more (we had been keeping it at the same level when things were progressing well). I really wished they had done this without asking me because I was terrified of things being more intense than they already were, but I did not end up noticing a difference. She also asked if I was interested in having the doctor come in and use a vacuum to help get the baby out faster. I said YES. She was a bit taken aback, and told me that it would hurt more and might make me tear more than I would otherwise. So then I said NO. I did not know what to say! She also said she could cut an episiotomy to help the baby come more quickly, but that sounded scarier than the vacuum to me. Madeline in the warmer with my mom by her side right after birth. Finally Meg said she was going to call the doctor and that he’d be here in a few minutes to do a vacuum delivery–but she also said, “I want you to try and push the baby out before he gets here”. I tried my hardest, which I felt like I’d been doing all along, but I think this was a good extra motivator. I pushed for maybe 15 more minutes and then suddenly someone yelled, “The head is out!” I was nervous about pushing out the shoulders because Meg had said I needed to get them out in just one push, and it needed to be my biggest push ever. I remember saying, “What if I can’t?” and her saying, “You have to!” Anyway, I had to do two pushes but they were quite close together, and then her shoulders were out! The rest of her body slid right out after that. And just at that moment, the doctor walked through the door! He said congratulations and turned around and left, without getting to use the vacuum. Holding my squishy baby for the first time! The moment Madeline was born I felt so relieved and so happy, and suddenly wasn’t in any pain anymore. We’d wanted to do delayed cord clamping, but at some point during labor had been told it wasn’t possible. They needed to take Madeline to the warmer right away to suction her nose and mouth and check on everything because of the meconium in the amniotic fluid. I was sad not to get to hold her immediately, but I heard her strong cry and got to watch Ben cut the umbilical cord. And she was not over in the warmer for long–she was born at 6:02 pm and I was holding her by 6:09. During her few minutes in the warmer, my mom held her hand and talked to her, and someone filmed a video so I could see exactly what had happened later on. Her Apgar scores were 9 and 9 and everything looked great! She did have quite a conehead from spending so long in the birth canal. When I got to hold Madeline she calmed down quickly and I was just so excited to finally have her in my arms. I also could not believe labor was over! I did not see the light at the end of the tunnel during the long pushing phase, so I was shocked when it finally ended. So excited to meet Madeline! I had to push out the placenta, which was harder than I thought because I was no longer having contractions to guide me to push. However, it came out after a few minutes and it didn’t hurt much. Meg spent the next 20 minutes or so stitching me up (I did have local lidocaine injections for that). I had second degree tears but hadn’t even really felt them! After that I sat up a bit so we could work on breastfeeding. It was painful (and stayed that way for a while, but that’s a topic for another post!) but we got her on and got her fed. A few minutes later Ben got to hold her for the first time, and a little while after that his mom, dad, and aunt brought us our burgers and fries (and a milkshake!). 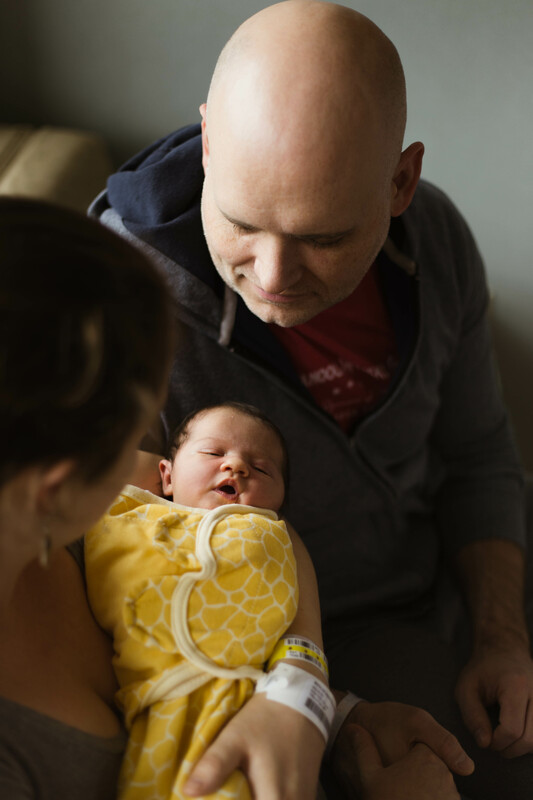 It was a marathon–just about 24 hours from the time my water broke to the time Madeline was born–but I felt so proud that I didn’t use painkillers and happy to have a healthy, beautiful baby. 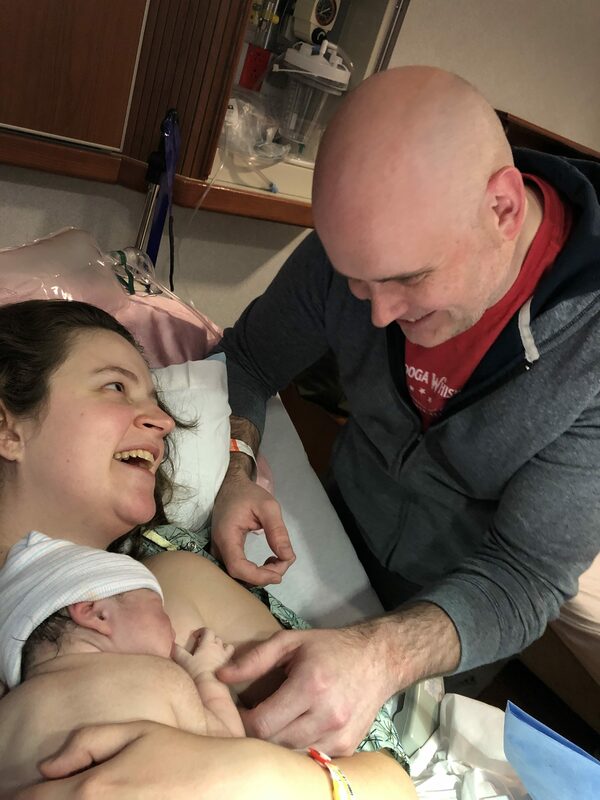 I was also so grateful that Ben, my mom, and my doula Ashley were by my side the whole time, and that my midwife Meg took expert care of me during the home stretch of labor and did such a great job delivering Madeline and stitching me up. I was planning to discuss how things went during my postpartum recovery at the end of this post, but I’m afraid it’s already too long. If you made it this far (high five! 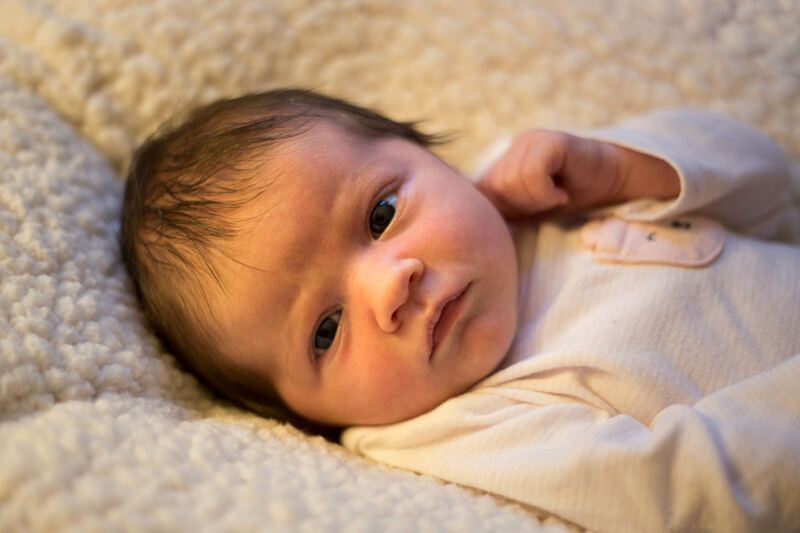 ), would you be interested in a postpartum post and/or posts about Madeline’s first few weeks? Thank you so much for reading! Feel free to leave me questions in the comments if you have them. I am always curious as to why women feel so motivated to suffer through labor, especially a very long one like yours, without pain control. There is virtually no other medical procedure that anyone would fathom wanting to do “naturally” (although “unmedicated” is the term I Prefer). Epidurals are overall very safe and can make the process much more relaxed for women. I had a baby now both with and without epidural and I’ll take the epidural any day. As I was just saying in another comment response, I probably would have gotten an epidural if I’d known labor would take 24 hours! Things were not that bad until I started pushing, though, and once I was, I couldn’t fathom having to sit still to get something put into my spine. And honestly, I found the whole idea of getting something put into my spine, plus a catheter, super scary. I also wanted to be able to move around (had a mobile IV for the pitocin drip)! Overall I’m very happy with my choice. I don’t think I’d feel like I’d failed if I’d gotten one, though! I think women should be supported to do whatever feels right for them, and not be judged for getting OR not getting pain relief. Thank you so much for sharing this, Becky! And congratulations! My husband and I are trying to get pregnant currently, and I’m trying to read up as much as I can. Would love to hear about post-partum, too. Thank you so much! I’m wishing you all the best on your pregnancy journey. I’m working on the fourth trimester/postpartum post this weekend! Beautiful story!! So happy for you and your family!! She is just precious!! 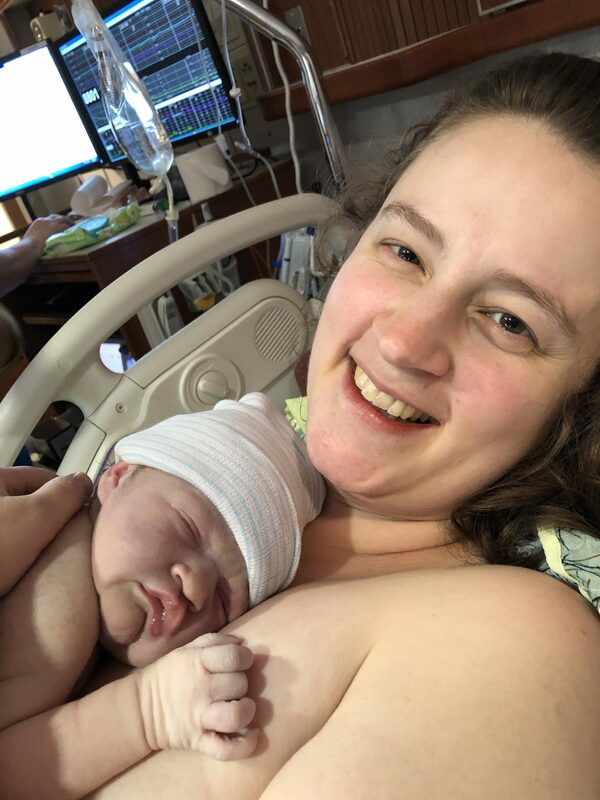 Oh my goodness Becky… what a birth story! You are a warrior!! I’m so impressed that you were able to go through all of that and still have a natural birth. Congratulations on becoming a mom 🙂 You’re daughter is so adorable! Thank you so much! If I’d known in advance that it would take 24 hours I might have decided to get that epidural, but I’m really happy with how things turned out. Loved the detail and the photos! I expect you have the natural birth to thank for those high apgar scores. Jody weighed 10.1 lbs after my natural birth and was quite a conehead herself, but her head stopped being bullet shaped pretty quickly. I am so glad it worked out without the vacuum! She is an exceptionally pretty baby, and she looks so much like you did!! Thank you so much, Jan! Wow, Jody was a nice big baby :). It’s so great that you had a natural birth. I’m so glad we managed without the vacuum, too! What a beautiful story, thank you for sharing!! Oh, Becky! 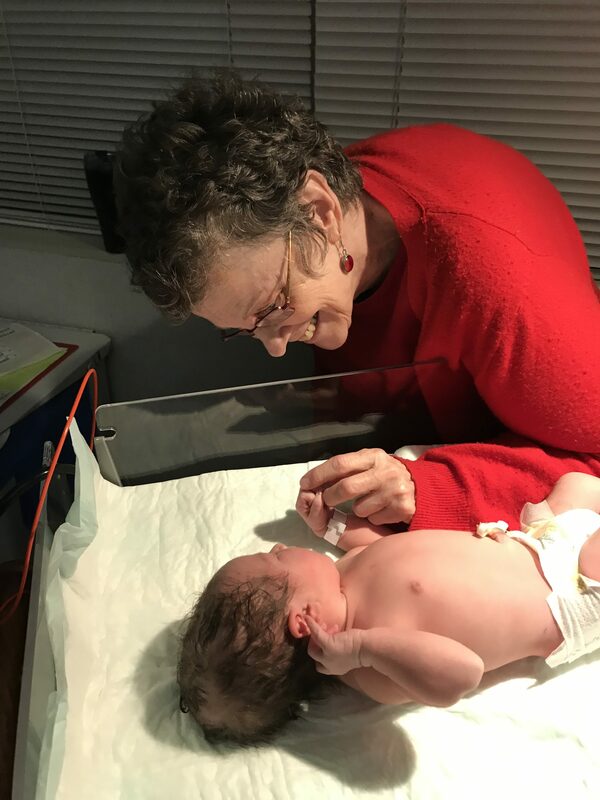 How wonderful to finally get to read your birth story! You two had quite a journey. I’m so proud you trusted yourself and the team you built around you to deliver beautiful Madeline in just the right way. I love the honesty and vulnerability you show in sharing your story. You guys make a beautiful family. I am honored to have been part of your story. Big hugs! She is so perfect, Becky. I can’t wait to meet her. Actually, I am going to text you right now so we can schedule something! Thank you! So glad she got to meet you this weekend!! Wow, Becky! What an amazing birth story. Thank you for sharing it.